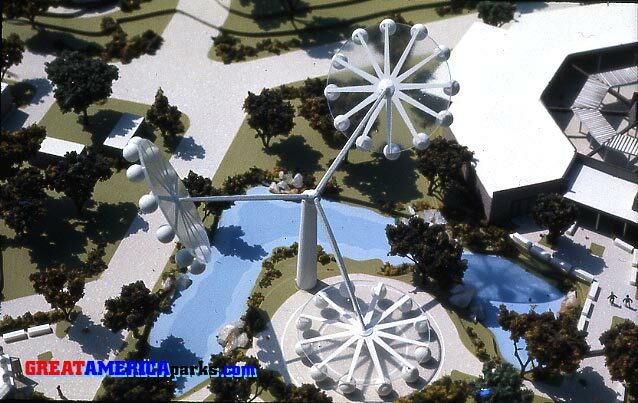 The large round building in Yankee Harbor was never built. 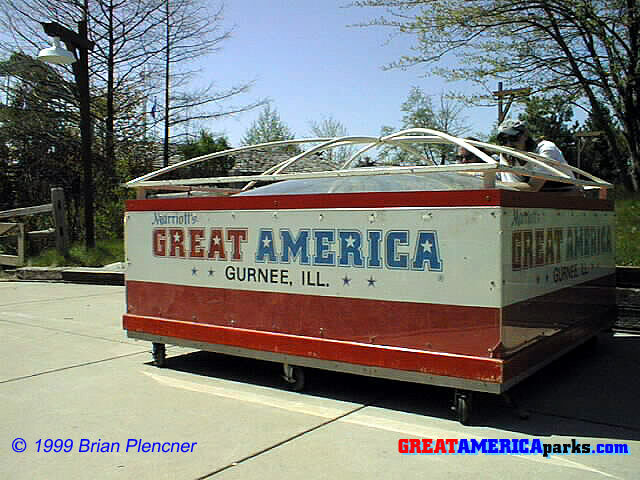 Does anyone know what it was to be? 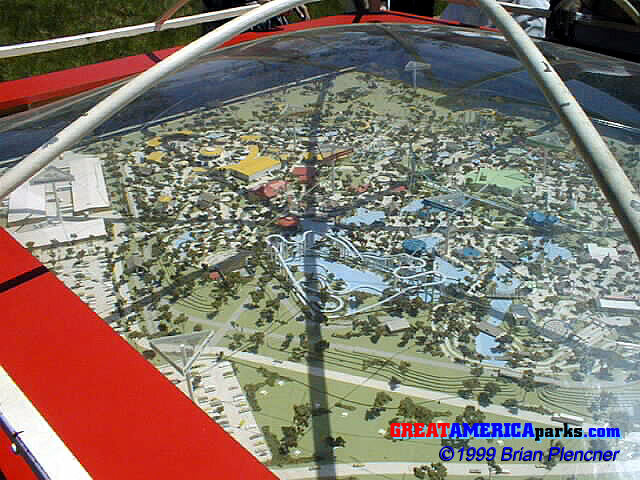 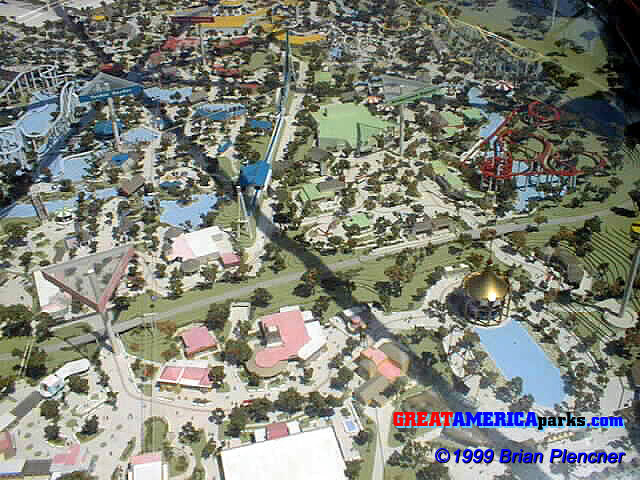 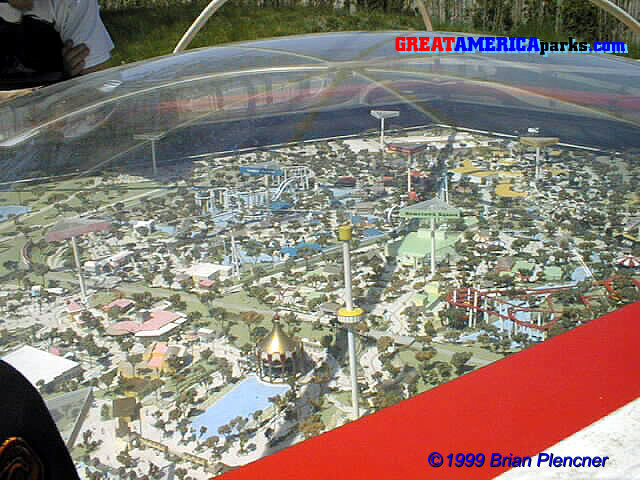 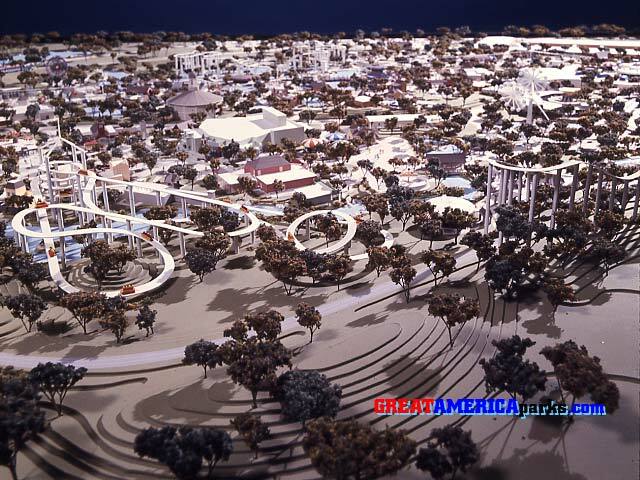 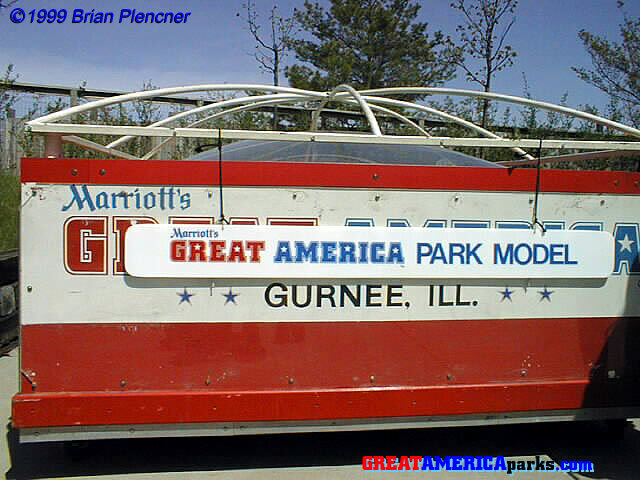 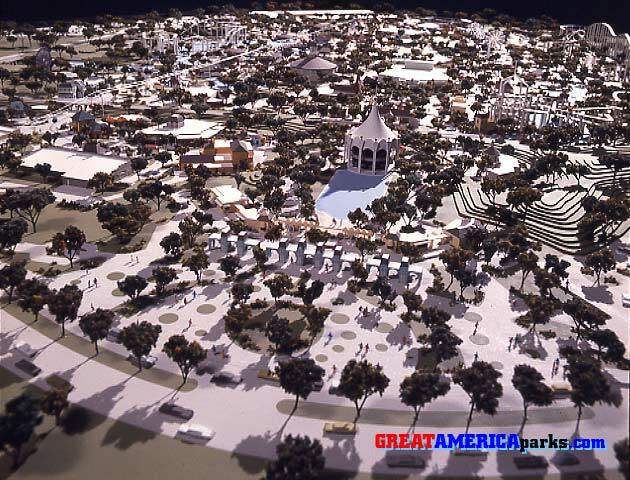 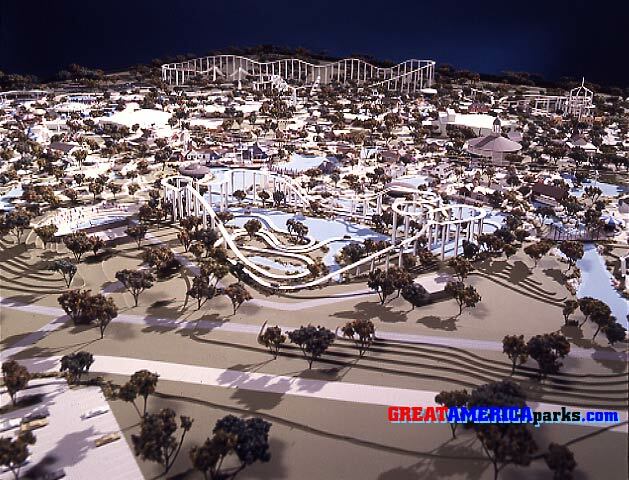 On the model, it was situated on the site of the Tidal Wave roller coaster. 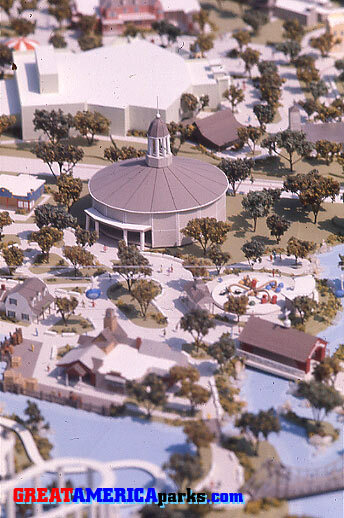 To the right and forward of the round building is the Lobster ride. 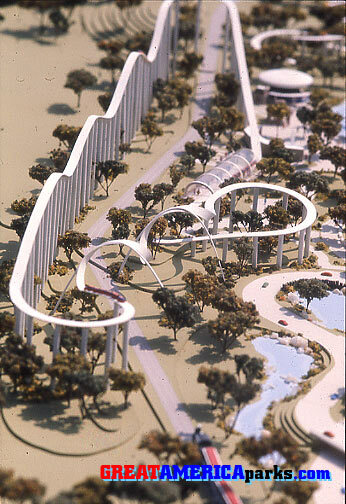 To the left of the round building is the famous restroom that stood at the base of the Tidal Wave's loop. 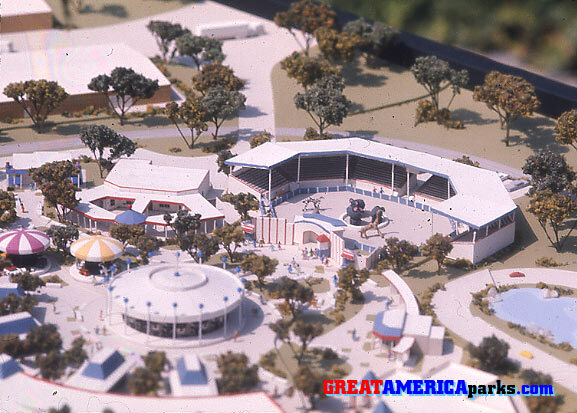 Behind the round building, across the service corridor in Hometown Square is the Grand Music Hall.